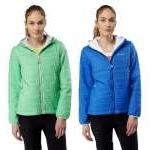 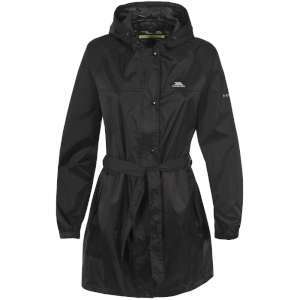 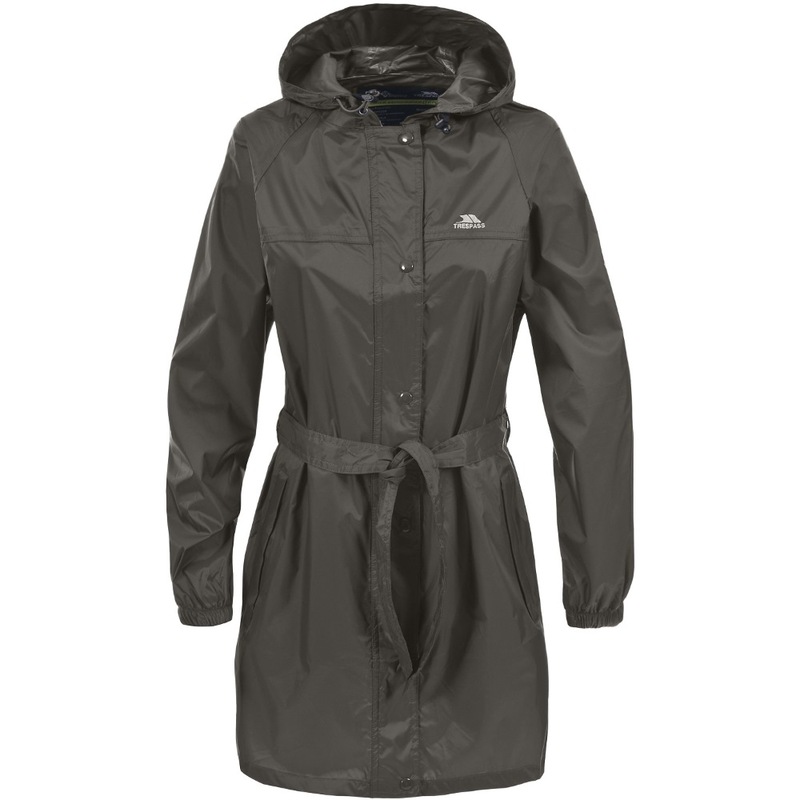 The Trespass Women's Compac Mac Packaway Jacket is a lightweight, highly waterproof, windproof and breathable longer length jacket with a belt that comes in its own compact stuff sack making it an incredibly stylish pack away jacket that is perfect for throwing in your rucksack so you can have the necessary weather protection on hand! The cut of this longer length pac-a-mac is much more flattering, than the classic active fit packaway jackets, and it also has a wide belt to cinch in at the waist for a more personalised fit and feminine streamlined silhouette making it ideal for every day use. 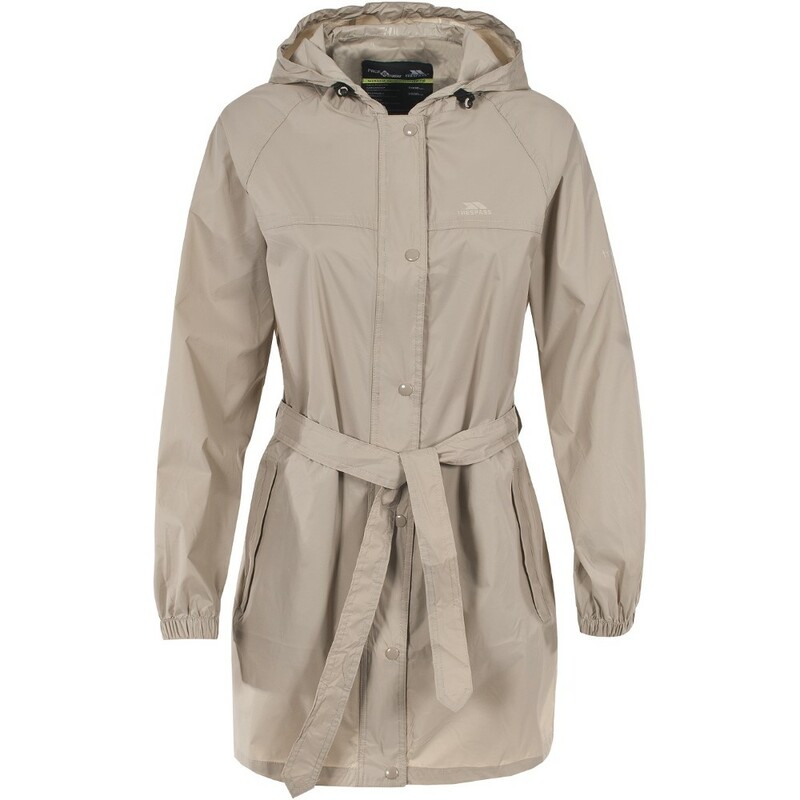 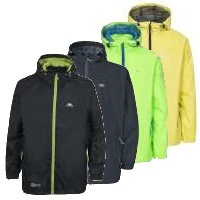 Made from Trespass's Tres-tex outer material, which is windproof and waterproof to 5,000mm, as well as being highly breathable, this jacket has an adjustable hood, a full length zip with press stud stormflap and elasticated cuffs to keep the rain out making it ideal for keeping in your rucksack, handbag or leaving in the car so you can be well prepared wherever you go!